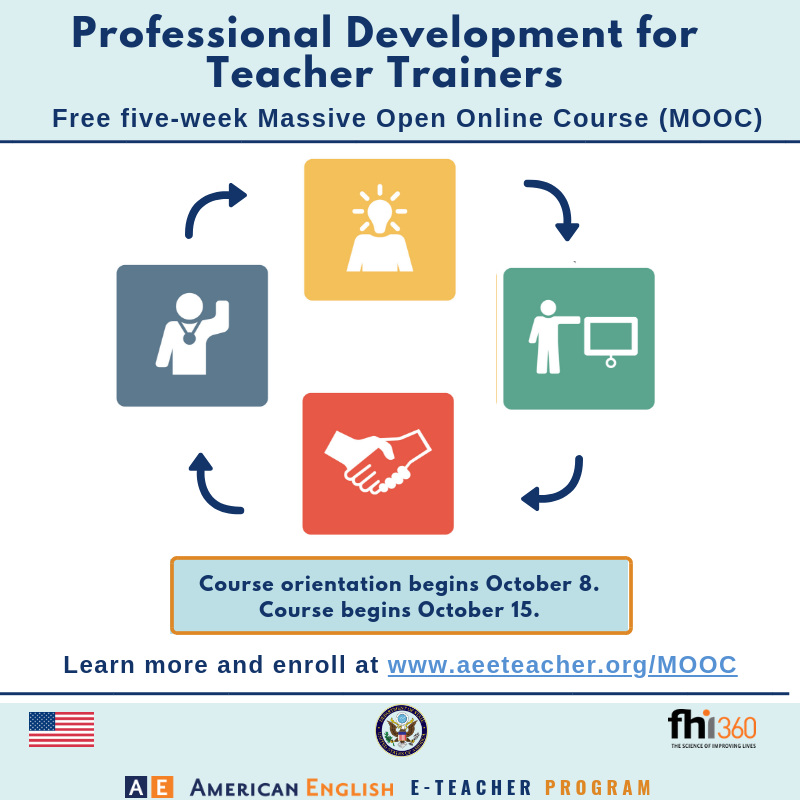 This FREE 5-week MOOC (Massive Open Online Course) is designed for both new and experienced teachers to give them some methods for creating, presenting, and evaluating effective teacher training workshops. Particioants will gain tools and techniques for promoting professional development in their teaching context, and develop their skills for delivering engaging and relevant teacher trainings. This course is provided by Arizona State University, as part of the American English (AE) E-Teacher Program, sponsored by the U.S. Department of State and administered by FHI 360. Participants who earn 70% or higher will receive a digital badge and a certificate as a mark of completion.